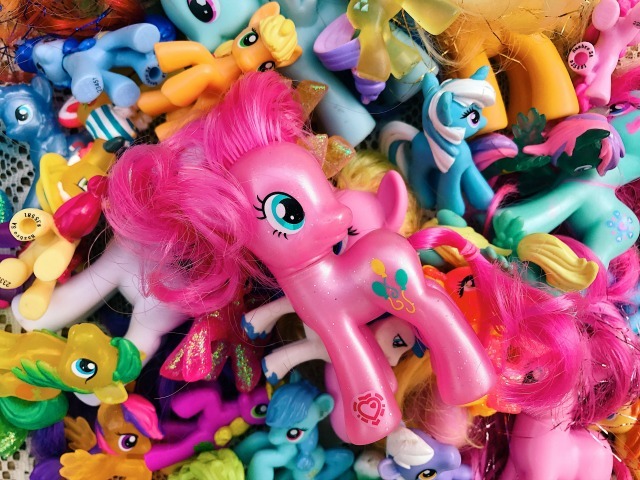 Ahh, My Little Pony; a brand that I truly treasured when I was a child and one that my girls treasure now. I love toys that stand the test of time and to see my own children playing with ones that meant so much to me three decades ago really is something special. 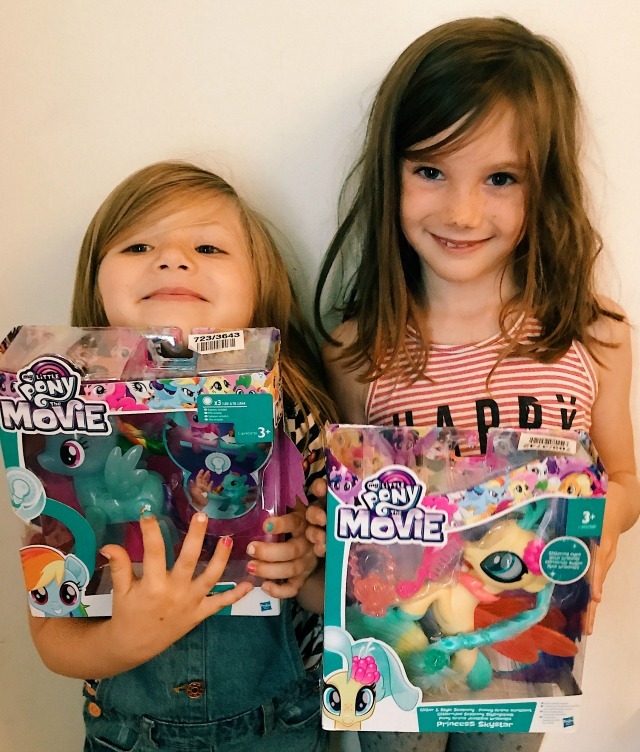 I didn't save the My Little Ponies of my 1980s childhood (much to my regret) but we re-started our collection when Daisy was younger and Evie has now inherited it. Over the years we've amassed a fair few figurines, castles and styling heads - and the girls are always excited when new toys hit the market! 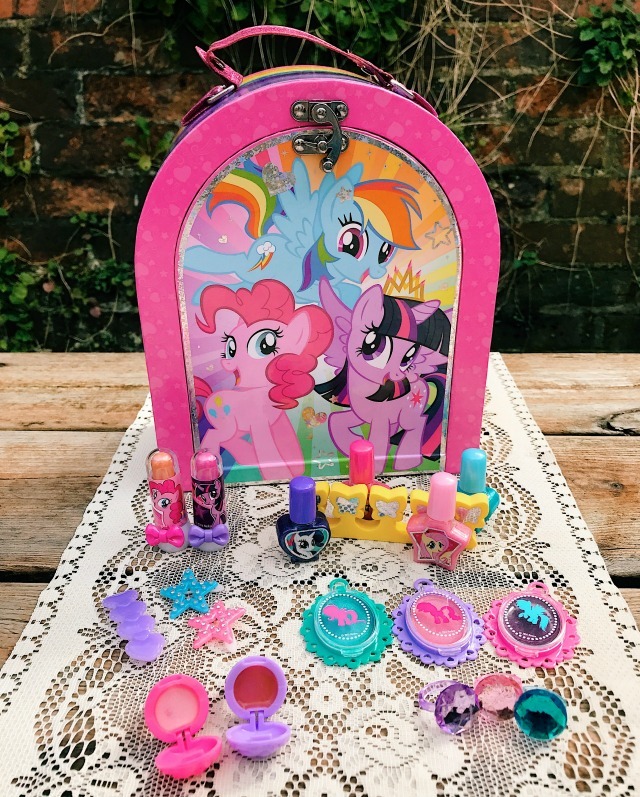 We chose the My Little Pony Cutie Beauty Make-Up Case (RRP £24.99). Both of my girls are make-up obsessed - in fact I had a little afternoon doze courtesy of my jet lag earlier this week and woke up to find Evie with half the contents of my make up bag all over her face! 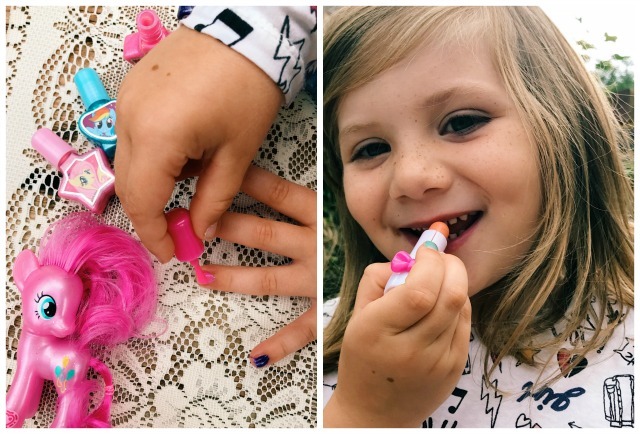 Now I'm partial to smokey eyes and bright lips which doesn't really suit a four year old, so we were both thrilled when she received this beautiful palette of pale pink lip glosses, lipsticks and brush on/peel off nail varnishes. 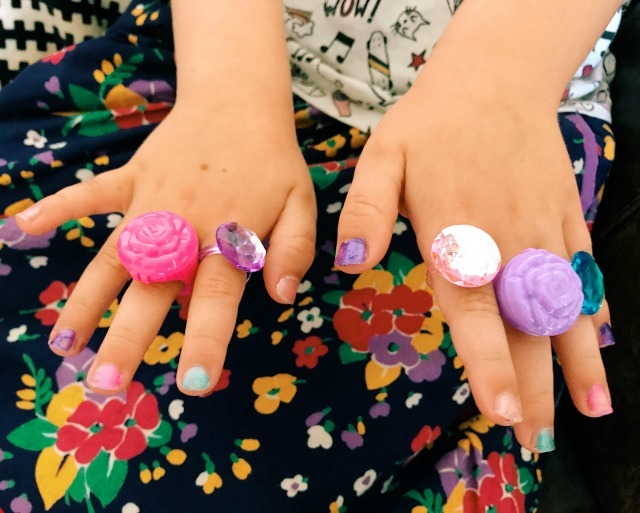 The rings and hair clips were also massive hits! 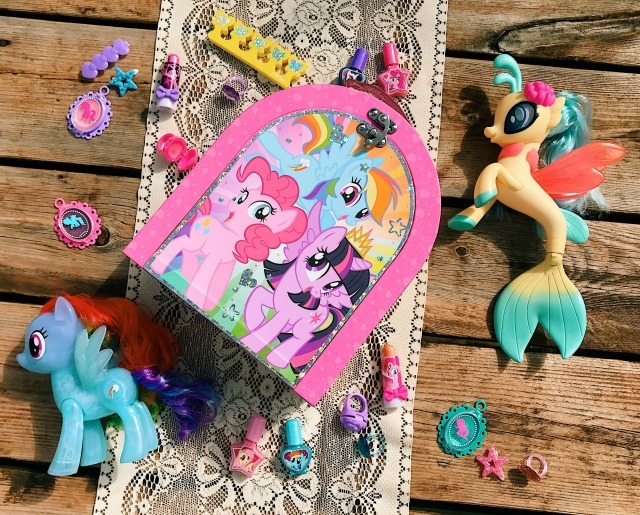 The My Little Pony blind bags are particular favourites of ours - at £2.99 they make brilliant pocket money toys and are great fun to swap with your friends when you double up! We also like to buy the slightly bigger figurines (like this Applejack one) as birthday presents. They're a great price at £5.99. The new range of My Little Pony toys and accessories is available at Argos now. And did you know Argos also offers a Fast Track delivery service, with same day home delivery available for just £3.95? 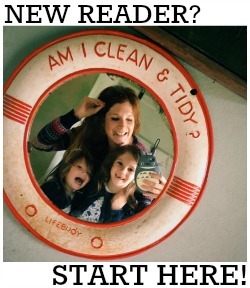 - perfect for last minute gifts! Working in collaboration with Argos for the launch of the brand new My Little Pony range.